We at JVIB understand that unfortunately the need to make an insurance claim can quite often be a stressful and emotional time for you. There are a number of steps you can take to simplify the process and reduce your personal stress. These will vary depending on the type of loss incurred. Advise Police. Notify the Police if it is a crime and obtain a copy of the Police report and event number to lodge with your claim. Don’t Admit Liability. Do not make any statements or admit liability. This is for the insurance company to determine. Advise JVIB. Contact JVIB at your earliest convenience so that we can get the ball rolling on your claim. Report It. 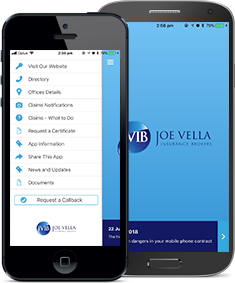 Most insurers are happy to do things electronically these days, however you will still need to contact JVIB and report the details to us, and in some cases, you may still need to complete a claim form. Don’t worry, we will be there to help. Is It Safe? After a loss, you will need to make sure the area is safe and prevent any further claims from occurring. If necessary, you may need to seek assistance from industry or trade professionals. What Now? Once you have submitted all of your claim details, you can let JVIB handle it from here and we will keep you updated on the progress of your claim.